[S15] George Edward Cokayne, editor, The Complete Baronetage, 5 volumes (no date (c. 1900); reprint, Gloucester, U.K.: Alan Sutton Publishing, 1983), volume V, page 311. Hereinafter cited as The Complete Baronetage. She was bridesmaid at the wedding of Albert Prinz von Sachsen-Coburg und Gotha and Victoria Alexandrina Hanover, Queen of the United Kingdom on 10 February 1840 at St. James's Palace, Chapel Royal, St. James's, London, EnglandG.2 Her married name became Noel. After her marriage, Lady Ida Harriet Augusta Hay was styled as Countess of Gainsborough on 10 June 1866. Children of Lady Constance Julia Eleanor Georgiana Noel and Sir Alan Henry Bellingham, 4th Bt. [S6] G.E. Cokayne; with Vicary Gibbs, H.A. Doubleday, Geoffrey H. White, Duncan Warrand and Lord Howard de Walden, editors, The Complete Peerage of England, Scotland, Ireland, Great Britain and the United Kingdom, Extant, Extinct or Dormant, new ed., 13 volumes in 14 (1910-1959; reprint in 6 volumes, Gloucester, U.K.: Alan Sutton Publishing, 2000), volume II, page 245. Hereinafter cited as The Complete Peerage. After her marriage, Hon. Barbara Yelverton was styled as Baroness Churston of Churston Ferrers and Lupton on 23 September 1872. From 23 September 1872, her married name became Yarde-Buller. [S6] G.E. Cokayne; with Vicary Gibbs, H.A. Doubleday, Geoffrey H. White, Duncan Warrand and Lord Howard de Walden, editors, The Complete Peerage of England, Scotland, Ireland, Great Britain and the United Kingdom, Extant, Extinct or Dormant, new ed., 13 volumes in 14 (1910-1959; reprint in 6 volumes, Gloucester, U.K.: Alan Sutton Publishing, 2000), volume III, page 210. Hereinafter cited as The Complete Peerage. 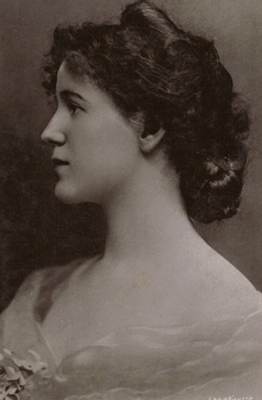 Jessie Smither used the stage-name of Denise Orme.1 She was educated at Royal College of Music, London, EnglandG.5 She was educated at Royal Acadamy of Music, London, EnglandG.5 She was an actress, singing and playing violin at the Alhambra, and appearing in The Little Michus at Daly's.1 From 24 April 1907, her married name became Yarde-Buller. After her marriage, Jessie Smither was styled as Baroness Churston of Churston Ferrers and Lupton on 30 November 1910. From 31 October 1928, her married name became Wessel. After her marriage, Jessie Smither was styled as Duchess of Leinster on 11 March 1946. From 11 March 1946, her married name became FitzGerald. Theodore William Wessel married Jessie Smither, daughter of Alfred John Smither and Jessie Henrietta Pococke, on 31 October 1928. He and Jessie Smither were divorced before 1946.